Now and again I might see a spider, but they do not bother me. It is not a home without a spider somewhere hovering in a corner. What I object to is the sneaky way they leave their threads everywhere until you have the feeling that you are living in the entrance to the underworld. I had to laugh about the elastic waistband…..A few years ago I was talking with a woman while we were at jury duty, awaiting selection. She nodded to all the working women dressing in nice pants and jackets. “I don’t have any pants like that anymore. I’m retired. All I wear is elastic waistbands.” We both chuckled about that. I can’t wait to retire to elastic waistband pants…. They are so comfortable and expand with your figure and hide all the embarrassing parts of your anatomy. I don’t think they are hiding, they have just moved on to another unsuspecting bedroom ceiling. Yes, I get those. Ceiling and Wall art. The spiders are humble artists, they just like to remain anonymous! Then I am not alone with this problem. I now cast a glance at the walls and ceilings daily. Yup. That how we do it, too and we have these fancy ceilings which were perfectly designed to catch cobwebs. I also have a bunch of different dusting devices with different kinds of heads — some quite bristly. They work pretty well too. And in different shapes. 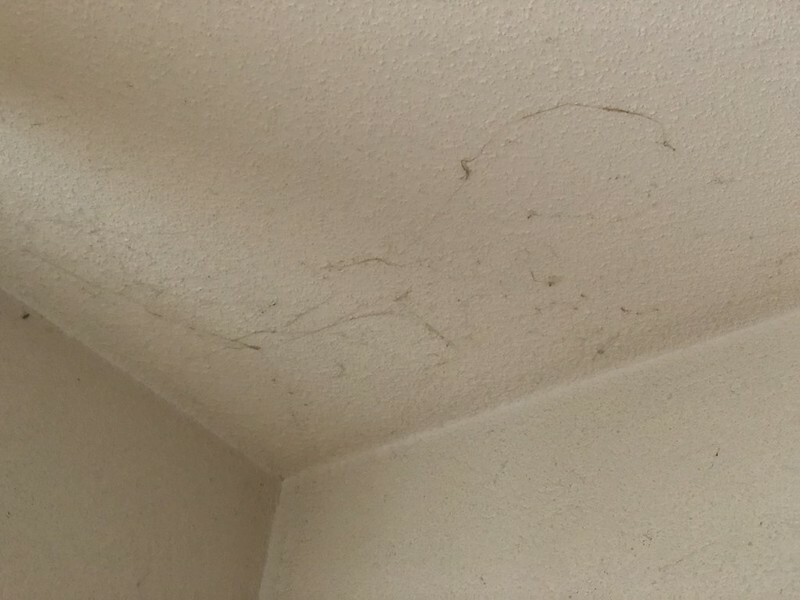 But we live in the woods, so there is always dust on the ceiling and in the corner and I’m always attacking it only to discover it’s back the next day. Do not live in the woods with three dogs if you treasure a really CLEAN house! It’s the crafty way the spiders do it. I swear they make themselves invisible.